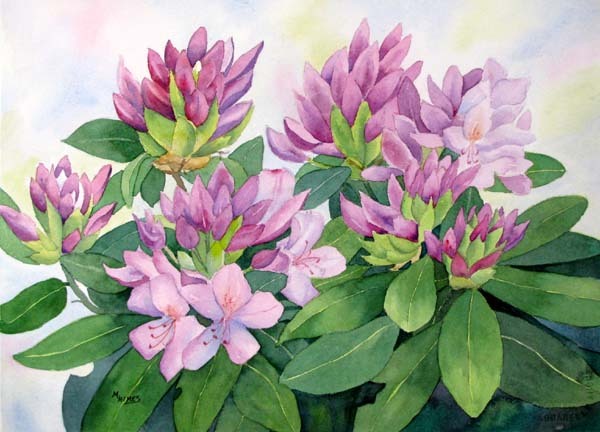 This painting was done from life. Those Darwin tulips are from my garden and their scent brings you to heaven. The 4th painting of a tetraptych, titled 'HEALTHY MIND IN A HEALTGY BODY', a peripheral miniature exhibition with international participation, in the cadre of Olympic Games, Athens, 2004, in whiche I took place. 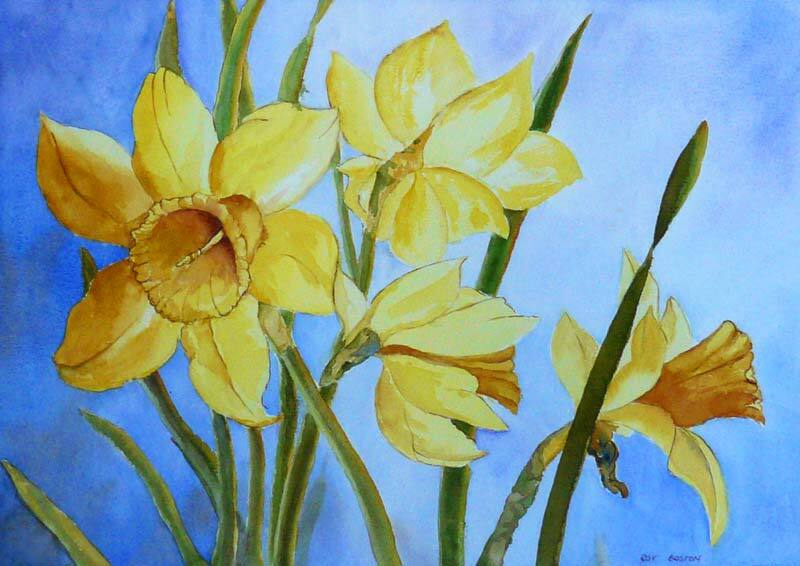 Our last spring had a profusion of flowers - and daffodils are well represented. 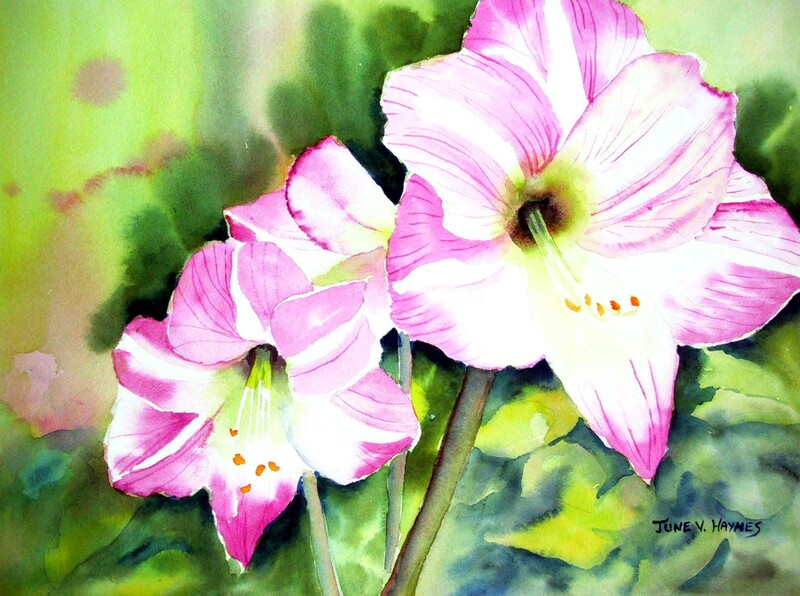 I guess we are out of step with much of the world - summer is just ending with the prospect of winter to come - so the topic of spring flowers is full of hope. 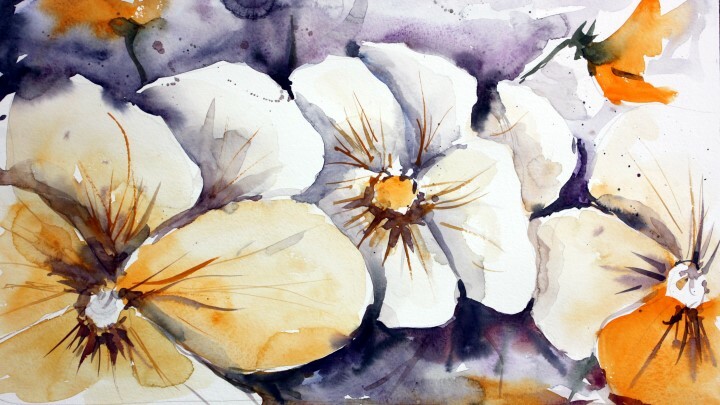 The iris is my favorite flower to paint, and all winter I look forward to seeing them bloom. This painting was done in January, 2010, for an art show at a local gallery that ended last week. I loved painting it! 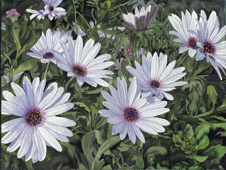 These were not wild daisies but cultivated ones, but they looked gorgeous on a sloping garden in South Aegean. I have been criticised for extreme photographic likeness with this one. 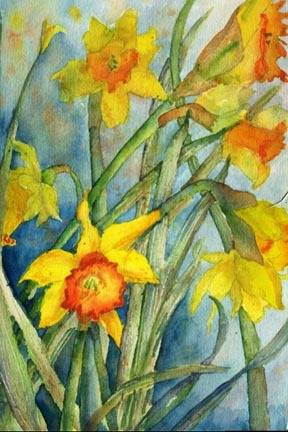 I used only one stem of the narcissus as I prefer leaving the blooms in the garden. Daffodild say spring to me and this one has been a long time coming! 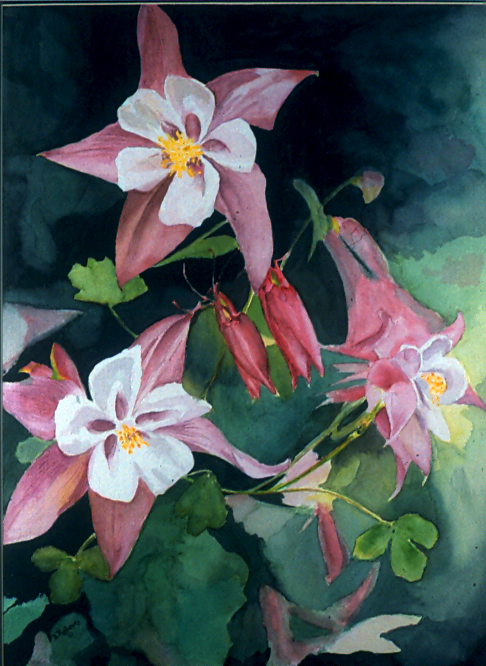 Painted this a few years ago when the beautiful columbines were blooming in my garden. I took a close-up view with my camera to catch the wonderful details of this flower. My Florida neighbour's garden was in full bloom. I captured many views of these georgeous flowers. This painting was developed out of a wish to build an abstract painting in which "background" and subject are intimately related as part of a field of interesting shapes and a simple color harmony: "violet and green as the Romeo and Juliet of colors." 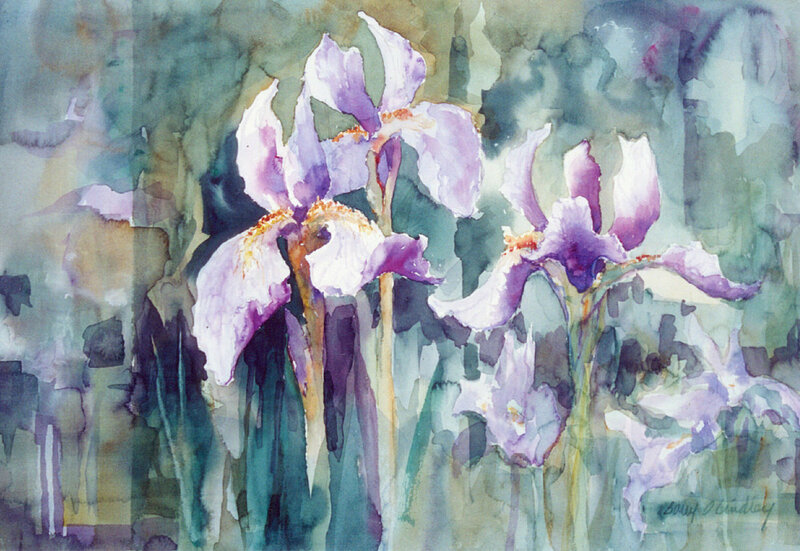 I've drawn and painted lots of irises, so it is actually, in my way of looking at things, also very representational at the same time it is abstract. 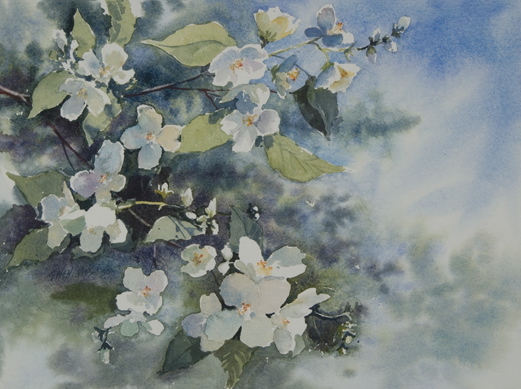 The specific study materials came from Monet's garden, hence the title. 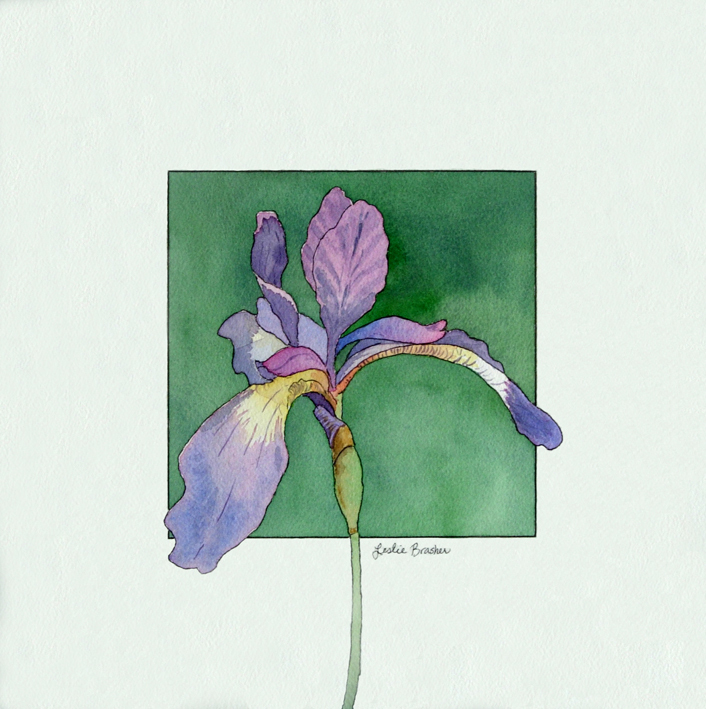 Although the iris could be anywhere, it is certainly from Art. this is one I did a few years ago, but still love. 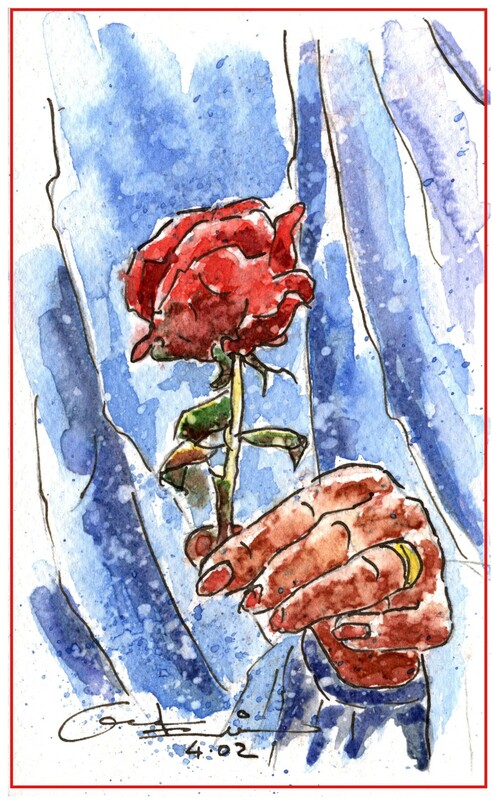 I think I painted it before I really learned color, from Nita Leland and Stephen Quiller. I think I got it accidentally. 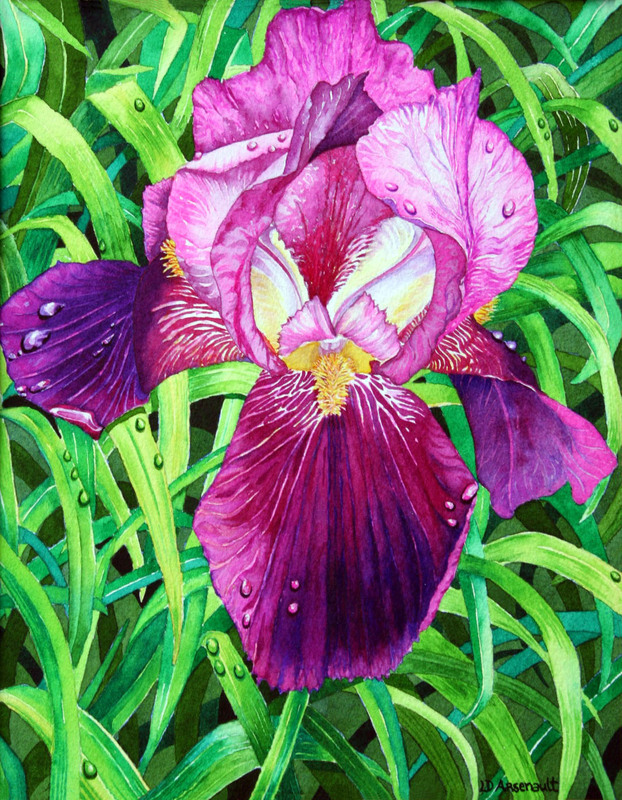 Another iris for the Spring collection ! Another Iris! 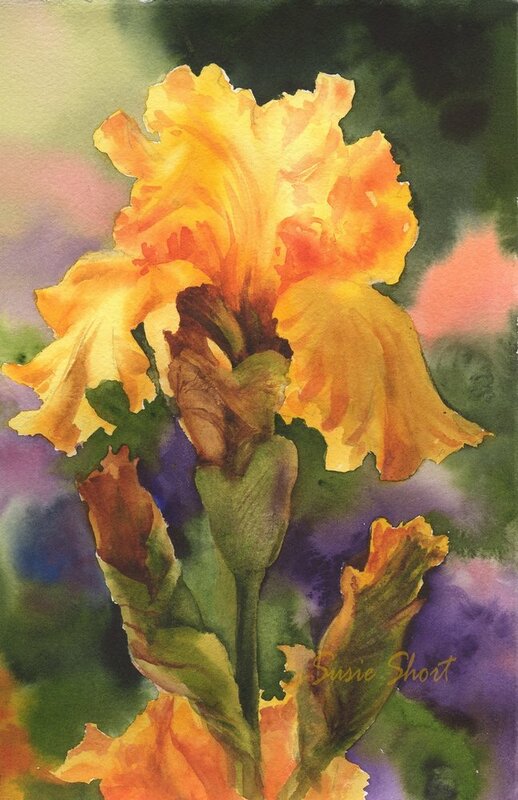 I had already selected this iris to send to the Spring Flowers exhibit and after the other lovely iris were dispalayed I started not to submit this one. At least this one is an iris of a different color. 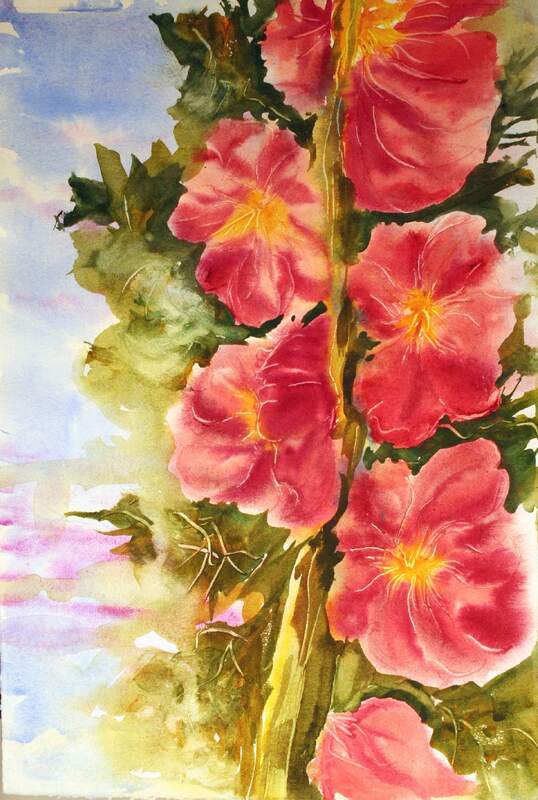 Confessing, this is one of my favorite flowers to paint too. 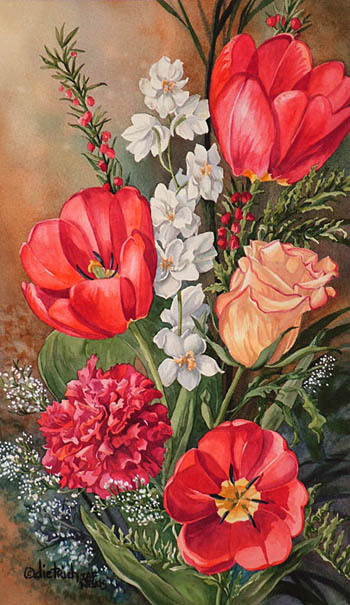 Great flower show everyone!